As we work on our new website, we established this blog to help keep everyone up-to-date. We had such good response that we decided to keep the blog, but moved it to our website (which is still a work in progress). To access our blog, please visit blog.greenbrierhistorical.org! 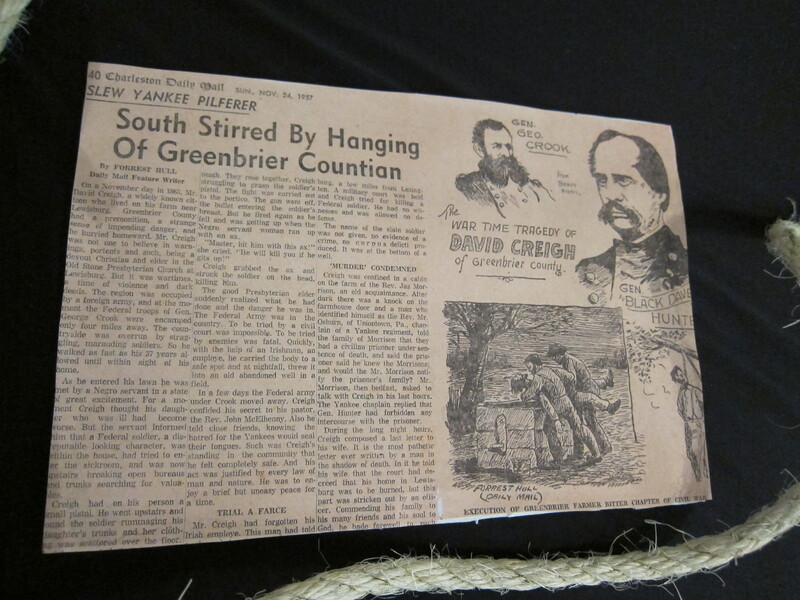 This article and cartoon, printed in the Charleston Daily Mail on November 24, 1957, discusses the trial and death of David S. Creigh, the Greenbrier Martyr. Newspapers can often tell us a lot about the subject of the article as well as the time period in which the article was printed. In November 1863, Creigh, a popular Lewisburg resident, fought and killed a Union soldier who was caught breaking his home and harassing his wife. Knowing that the Union commanders would not listen to his story, Creigh hid the body in an old dry well on his property. Unfortunately, the story spread and Creigh was arrested, sentenced to death, and hung outside of Brownsburg, Virginia. The death of David Creigh is just one of the stories that will be told at the Haunted History event on Friday October 4th and 18th from 5-7pm. 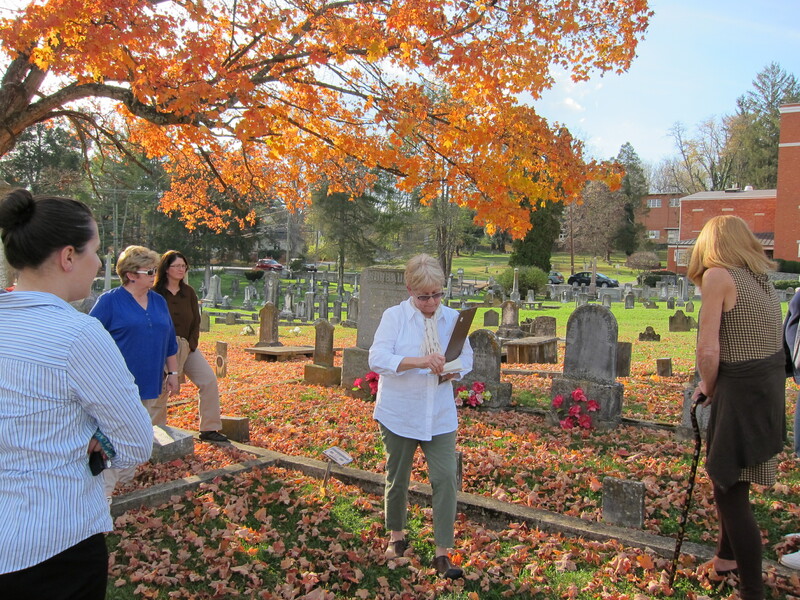 The Greenbrier Historical Society will host a historic tour of the City of Lewisburg cemeteries on Friday October 11th and Friday October 25th 2013 at 5:00pm. The tour will discuss a few of the notable individuals buried in the cemetery, as well as our area’s sometimes bloody history. All ages are welcome. Children under 10 must be accompanied by an adult. Tours can also be scheduled upon request for a larger group or class. Tombstone Tours will leave from the North House promptly at 5:00pm. 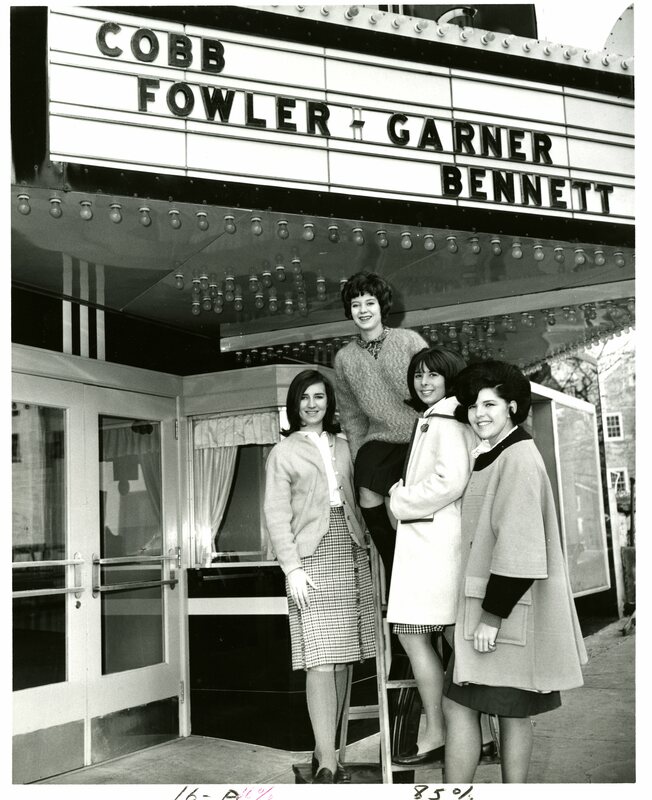 We suggest that you arrive a few minutes early to pick-up your “Pay What You Can” tickets. Contact the Greenbrier Historical Society at 304-645-3398 or info@greenbrierhistorical.org for more information about these and other fun and educational activities. 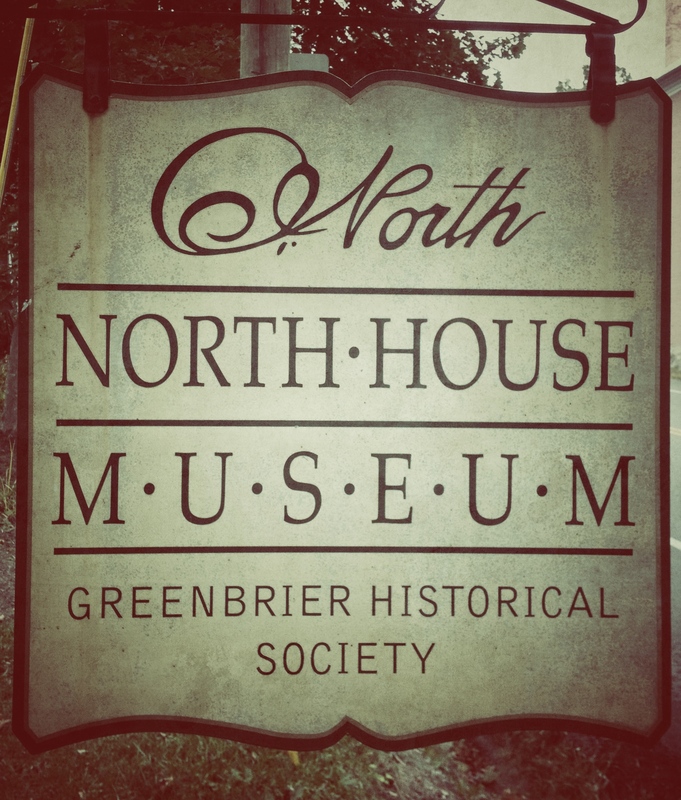 Join the Greenbrier Historical Society on October’s First Friday in Downtown Lewisburg for a haunted candlelit tour of the North House. 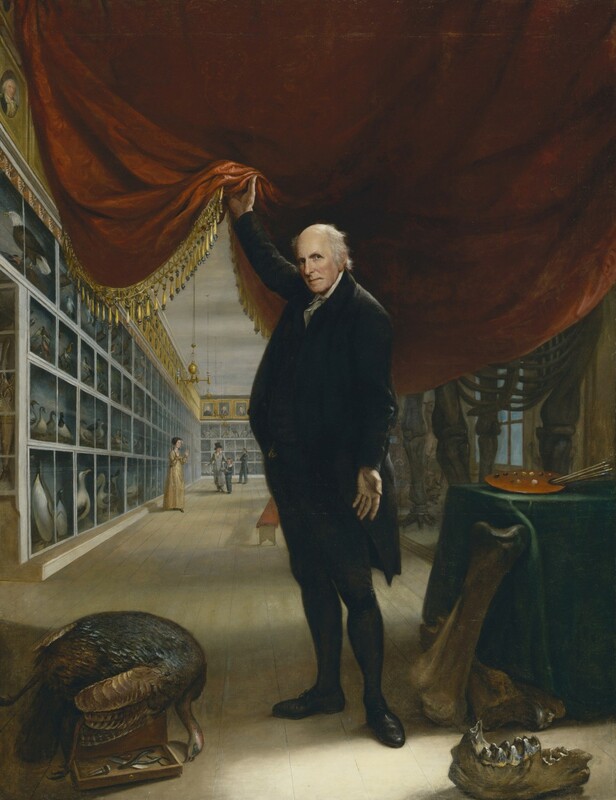 For two nights only – Friday October 4th and Friday October 18th, 2013 from 5pm to 7pm – the historical society will open its doors for an evening of thrills, chills, and fall fun. The North House will once again be visited by a number of spirits who are yearning to tell our guests their tragic stories. Come walk the darkened hallways, listen for unexplained footsteps, and prepare yourself for ghostly images. Tours will begin every 30 minutes with a limited number of tickets for each tour. The admission fee will be “Pay What You Can” and will go to support the Greenbrier Historical Society and North House Museum. If you have any questions or require more information, please call 304-645-3398 or email info@greenbrierhistorical.org. We are going outside our own collection this week to highlight an item owned by the Monroe County Historical Society – a neighbor museum. 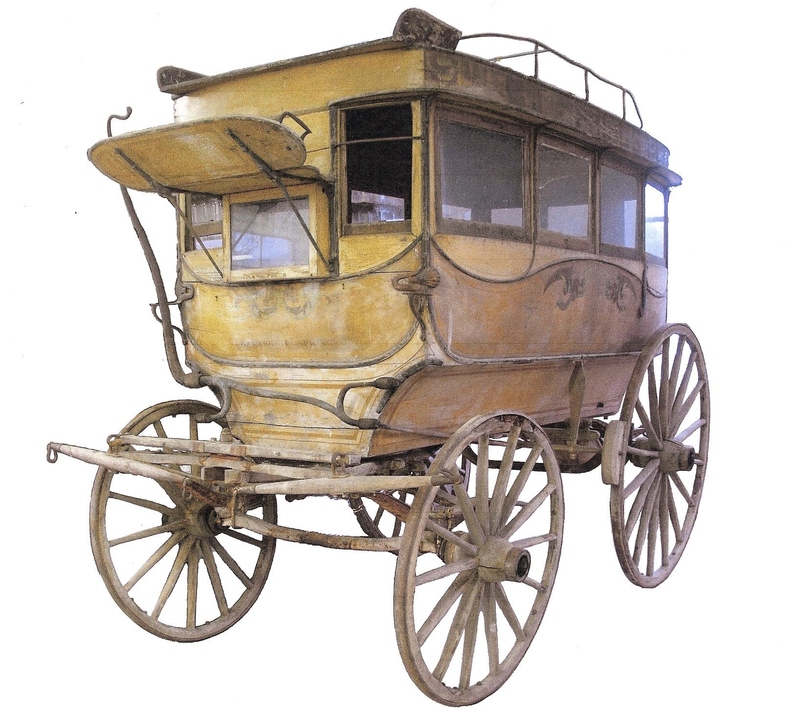 This Omnibus, circa 1880, was used to transport visitors to the Sweet Chalybeate Spring Resort and Sweet Springs Resort in Monroe County, West Virginia. The Monroe County Historical Society has begun the construction of a home for their carriage collection in Union. The idea was inspired by the Wagon House adjacent to North House in Lewisburg, though it will be somewhat larger at 1000 square feet so as to accommodate five horse-drawn vehicles. The style is Gothic Revival with lots of large windows to permit viewing at all hours. The site, to the rear of the Monroe County Historical Society museum on Main Street, has been leveled and the concrete floor has been poured. The substructure is a traditional timber-frame which is being built by Chip Sills of Earthwind Construction in Greenville. The “flagship” of this museum will be an 1880’s vintage Omnibus (pictured) which was originally used to bring visitors from the Alleghany Station to the resort spas of Sweet Chalybeate and Sweet Springs. It is unique in being in original condition, with fancy paint-work including scrolls, country scenes and pin striping. Also MCHS has two mid-sized carriages and a sleigh from the Walnut Grove Estate outside Union and these were donated by the late Nancy White. Finally, they have just received the gift of a Doctor’s Buggy. MCHS has already raised $40,000 for this project but their goal is to seek $25,000 more which will cover some carriage restoration work as well as building costs and maintenance. They are offering an engraved tile for the portico for a donation of $100. The concept is the based on the patio at Carnegie Hall, so three lines with thirteen characters each can be included on each tile. If you are interested in supporting the efforts of the Monroe County Historical Society efforts, please send a check to the M.C.H.S. at PO Box 465, Union, WV 24983. Thank you very much! Our Item of the Week comes from the Virginia Meadows Collection, which was recently donated to the Greenbrier Historical Society’s Archives and Library. 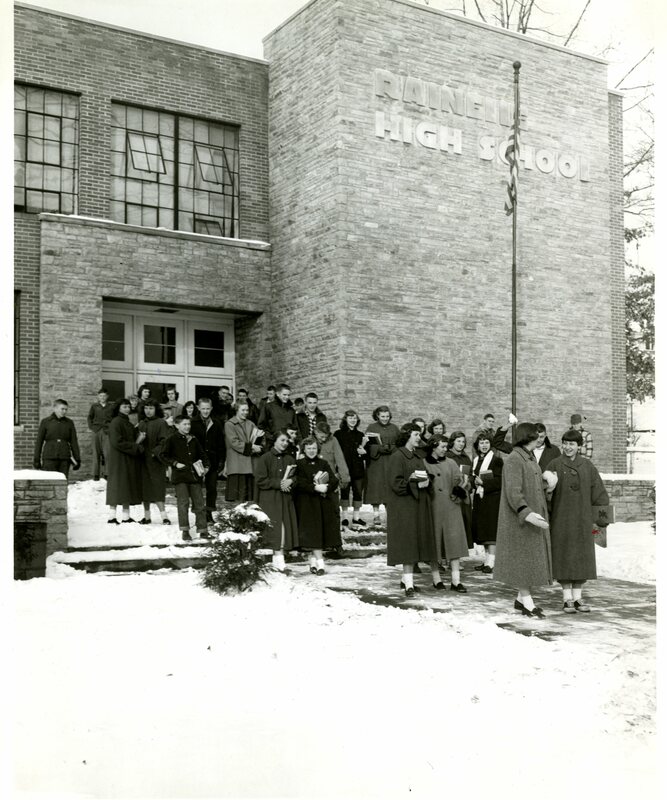 It is a photograph of students in front of the Rainelle High School circa 1956. Can anyone identify any of the individuals in the photo?